This weekend marks the the 2016 In-Store Convention Kick-off. The event provides you a convention experience from the comfort of your local comic book store. Special guests include Jim Lee, Nathan Fillion, Matt Fraction, and more! To find out if your LCS is participating and for a schedule of events check it out here. Really impressive that should be a lot of fun to experience with some local nerds. Black Widow #1 - When I learned Mark Waid was penning a new Black Widow series I was excited and am happy to report that he did not disappoint. 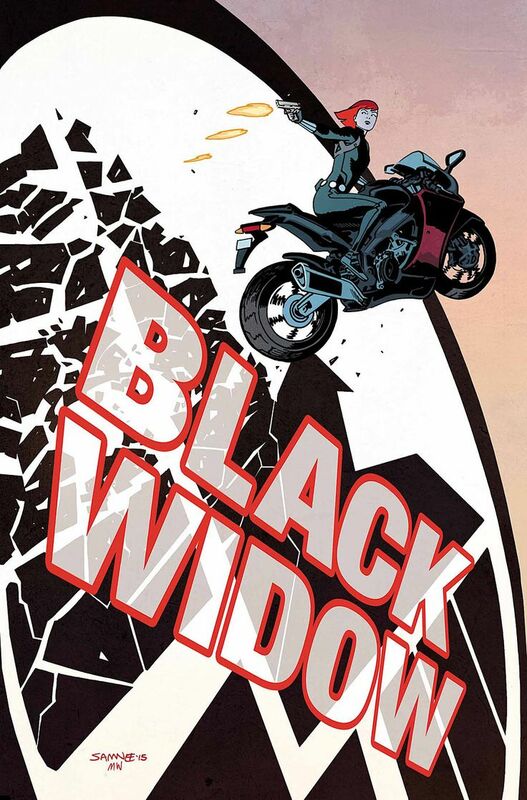 The series opens with an announcement that Black Widow, aka Natasha Romanov, is now an enemy of S.H.I.E.L.D. and is to be stopped at any cost. Following this announcement, we are treated to an epic chase scene that is straight out of a classic John Woo flick. Not Face/Off or Paycheck, but more in the vein of The Killer or Hard Boiled. All we learn from this debut is that Romanov is not to be messed with and she must have swiped something pretty valuable given the efforts made to take her down. Color me intrigued. The Walking Dead #152 - Rick is gearing up his people for an attack on the whispers. In order to get them to agree with attacking the living, he is trying to build up hate with a wave of propaganda. A major bomb drops at the end of this issue, but I don't want to spoil anything. It seems that the biggest threat to Rick and his crew is real and they should be very, very afraid. While I feel this series has had its ups and downs, I have really been enjoying the current arc and am anxiously awaiting what is going to happen in the next issue. 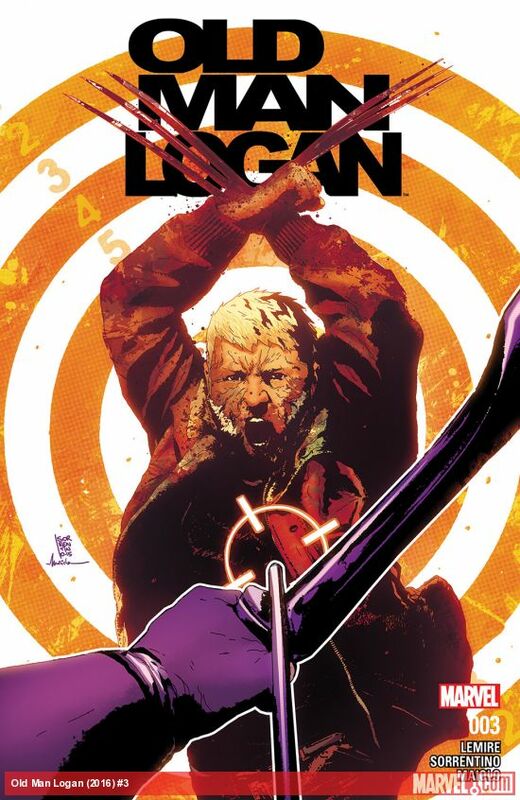 Old Man Logan #3 - Logan is recovering from his shock to discover that he is enlisting the help of Kate Bishop, not Clint Barton, in his quest to take care of his list to set things right in the future. She wants to help him take down Mysterio, but Wolverine prefers to work alone and they run into some issues with how Logan likes to obtain information. I am still on the fence with this title, but the hook at the end speaks directly to me. I am on board for an old man fight of epic proportions with the next title. 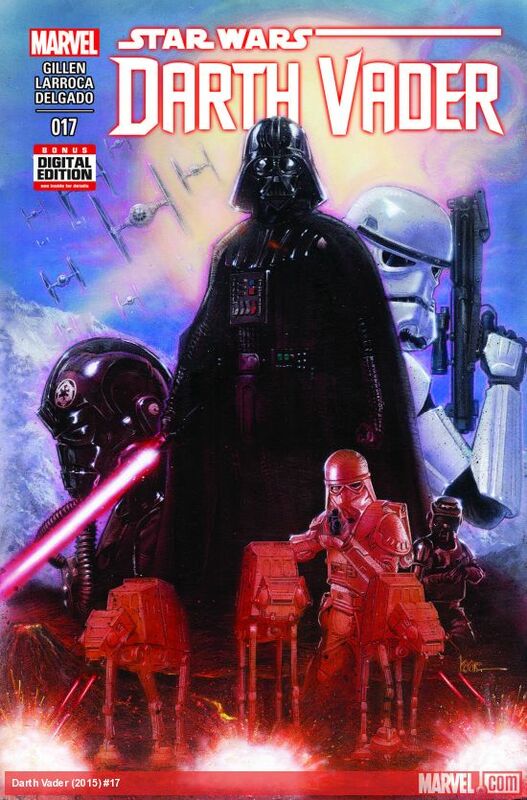 Darth Vader #17 - Vader once again demonstrates his power and rage. We get to witness a submersible spaceship surprise his camp by emerging from lava. Vader, not one to back down, leaps into the ship and along with the help of the twins, slices holes throughout the vessel causing it to fill with lava and sink. It is a powerful moment, but one that demonstrates that Vader tries to make himself bigger than the Empire and his ego is going to get him in trouble.